I arrived into the world a week or so past my springtime due date during the first few hours of the first day of summer. It’s safe to say, I’ve been waiting on summer since before I was even born. I could go on about my undying love for that fleeting, magical season on the sparkling coast of Maine that lasts all of eight weeks before the leaves turn, boats are pulled and the world slips quietly into a restful darkness again, in which everyone, I assume, must be waiting for summer to begin again. But since moving to New York, I’ve found summer insufferable. In the muggy, soupy summer humidity that climbs and sticks to the walls of the city streets, I find myself longing for the cool autumn air, or dark wintry wine bars, or those shorter days when all you want to do is crawl home to a warm meal, but instead step outside to see that New York has turned on its glittery lights in the early evening glow, and convinced they’re on just for you, you can’t help but stay out and be a part of it. So here’s to summer’s end, cooler nights and football Sundays. 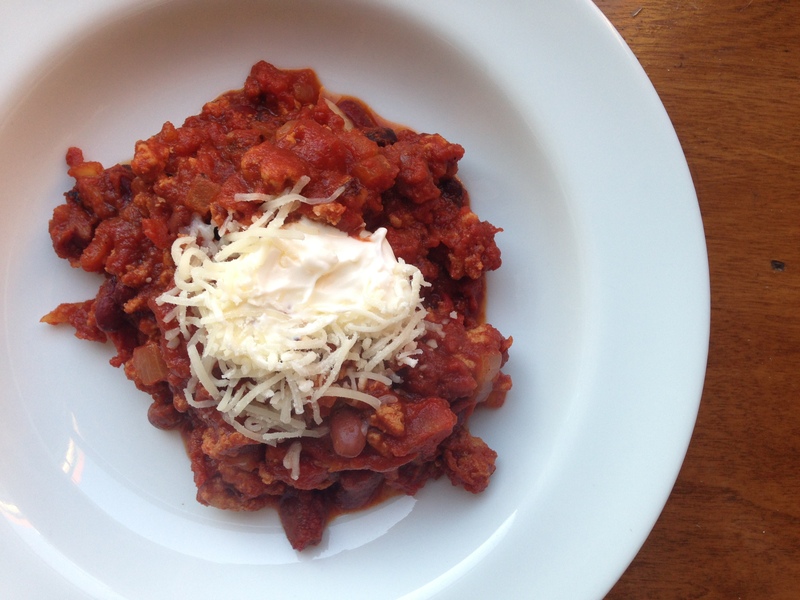 Here’s to a chili that makes a summer girl like myself look forward to colder weather. Only in New York, though. 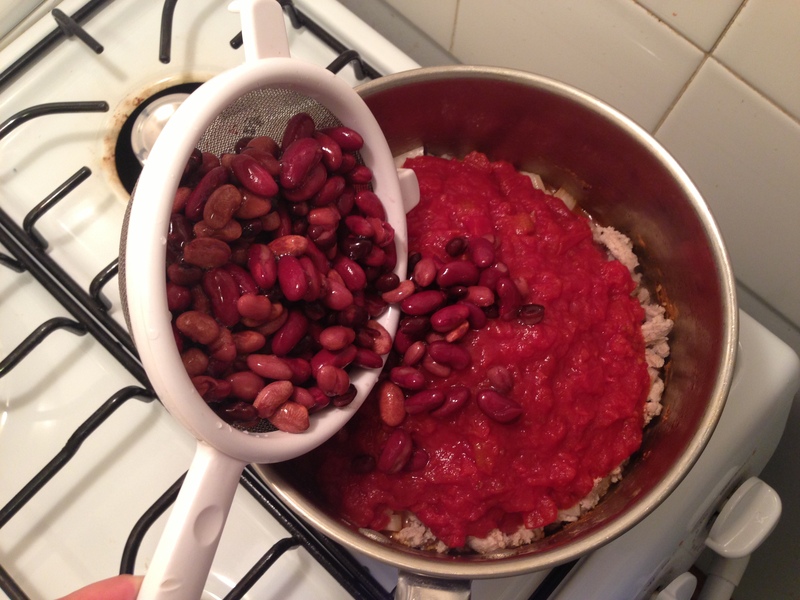 1 can mixed kidney/pinto beans, or whichever one you prefer (15 oz), drained and rinsed. 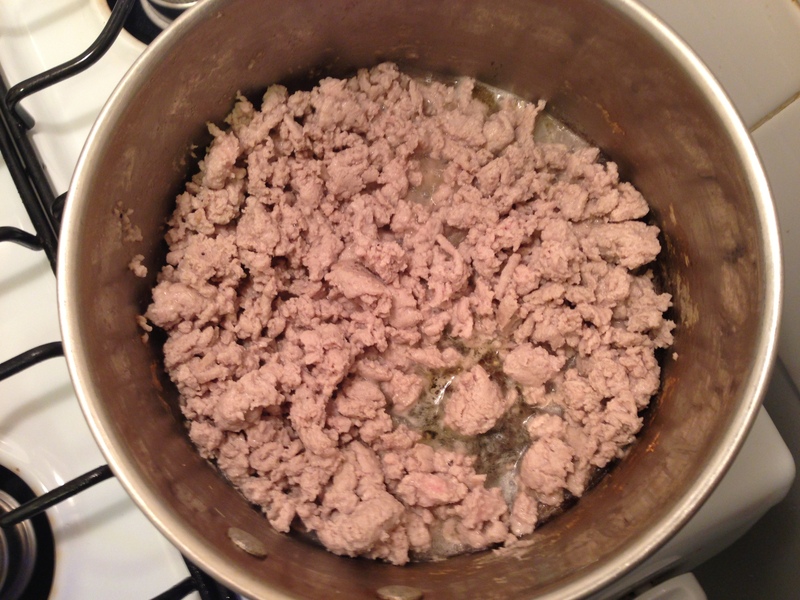 Begin by placing the ground turkey into a pot over medium-high heat. 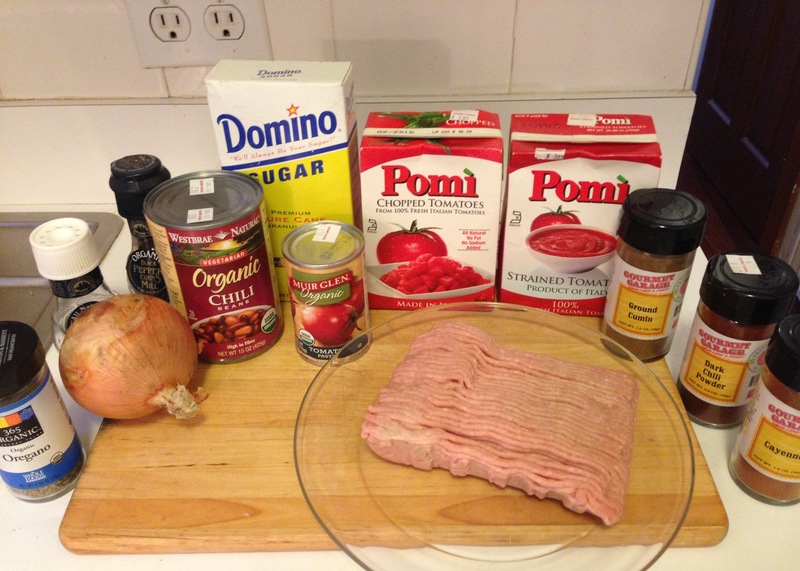 Break up the meat as it browns. 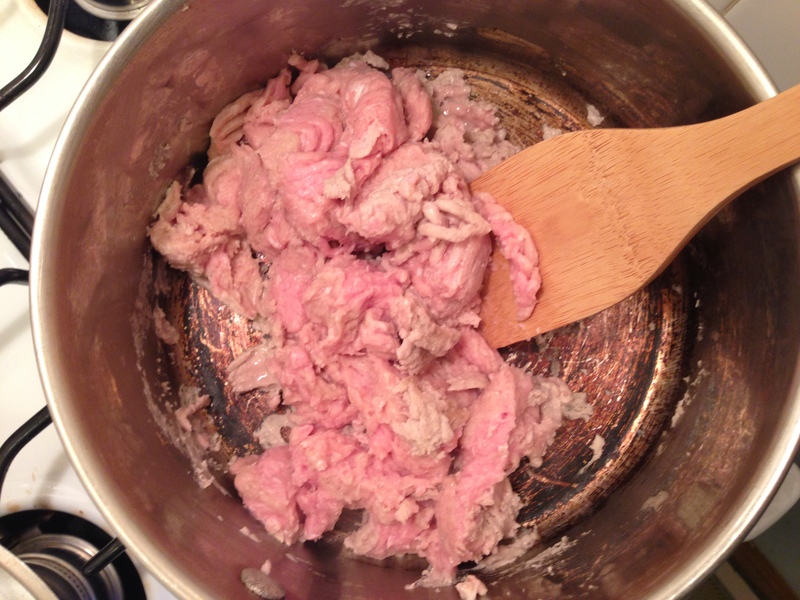 After it’s done cooking, about 5-10 minutes, drain any excess liquid and return it to the stove. 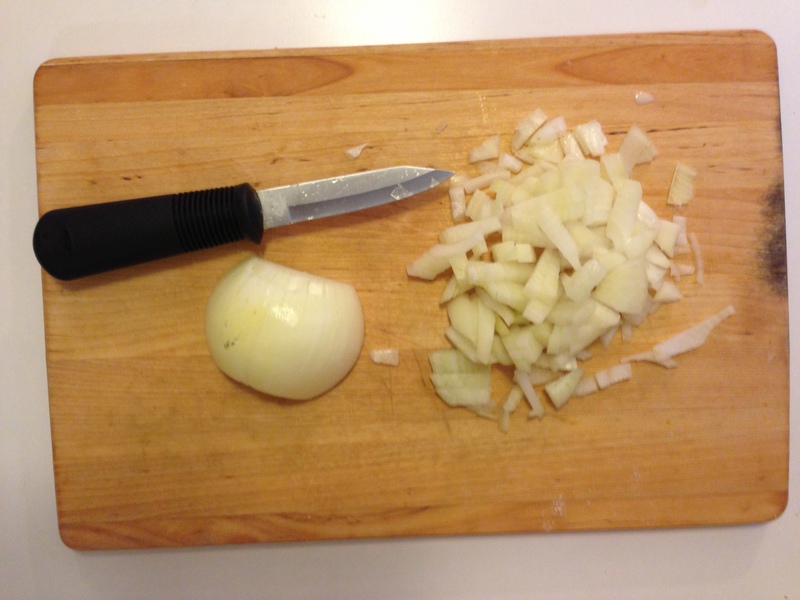 Chop your onion into small pieces and add it to the pot. 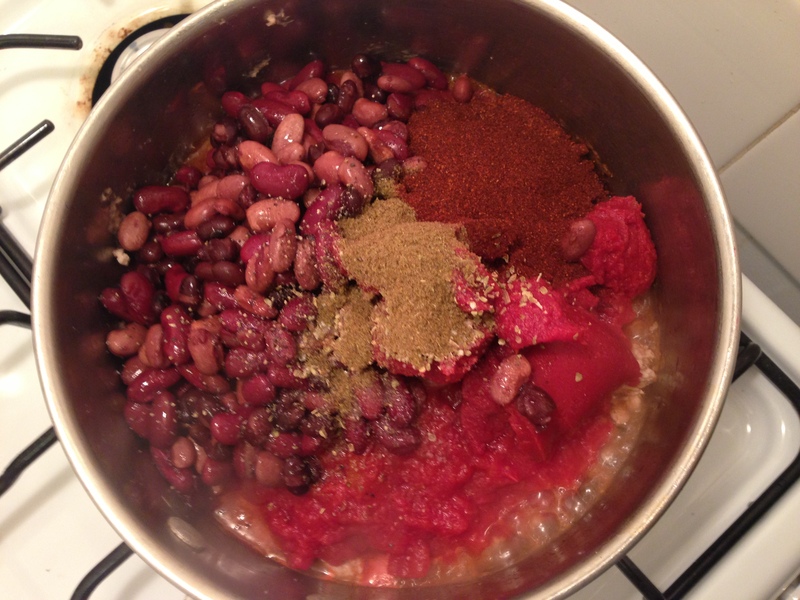 Add the rest of your ingredients into the pot: the strained tomatoes, chopped tomatoes, tomato paste, rinsed and strained beans, sugar, oregano, black pepper, cayenne pepper, salt, cumin and chili powder to the meat. Stir and bring to a boil. 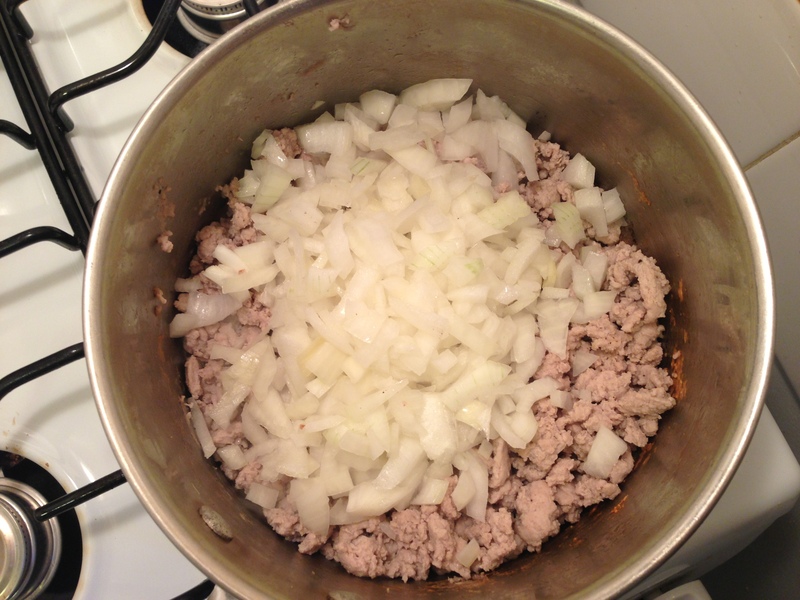 Once boiling, reduce it to a simmer and cover the pot with a lid for about an hour so that all the flavors can mingle and get happy. After an hour, remove the lid and let simmer for another half hour so that some of the liquid can evaporate and you get a heartier chili. 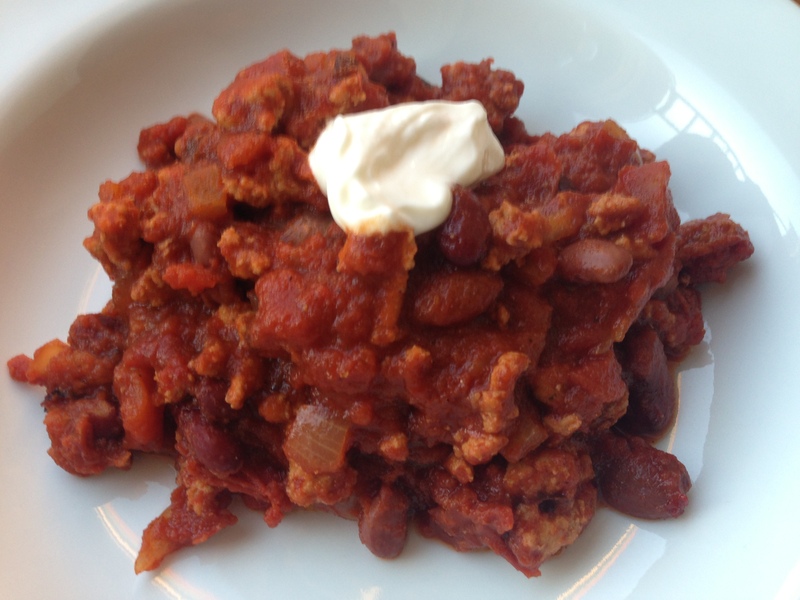 If your chili becomes too thick, you can thin it by adding some water. 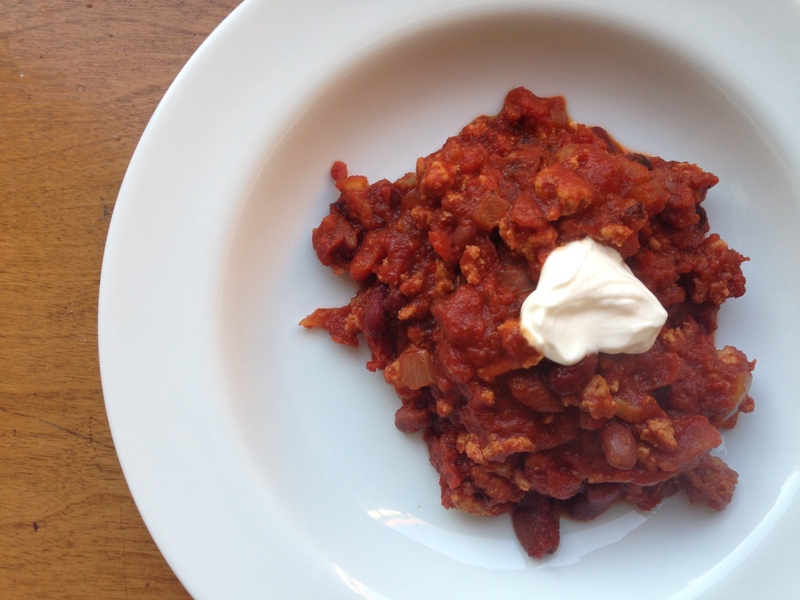 Serve the chili hot and garnish with cornbread, sour cream, grated cheese, or whatever fixings you like. Fieldhouse Fun Fact: It took me longer to create this post than it did to make this dish.